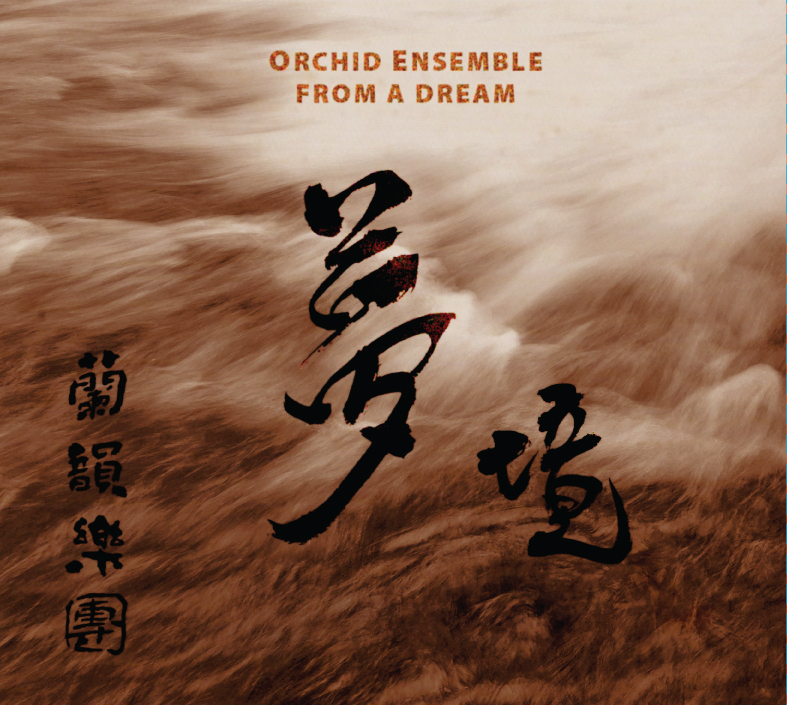 Orchid Ensemble’s 4th CD “From A Dream”, featuring works by Dorothy Chang, Jin Zhang, and Farshid Samandari, has been released in December 2018. Crossing Mountains & Seas – Canada Council New Chapter Grant! 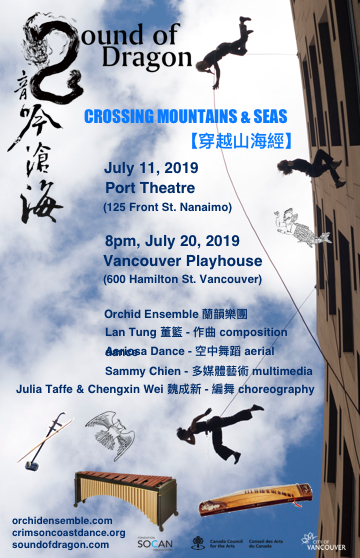 The Orchid Ensemble has been awarded the Canada Council’s New Chapter Grant to collaborate with choreographers Julia Taffe and Chengxin Wei and media artist Sammy Chien to create “Crossing Mountains & Seas”, to be premiered on July 11 at Nanaimo’s Port Theatre and on July 20, 2019 at the Vancouver Playhouse. The ensemble has commissioned numerous works from Canadian composer Moshe Denburg since 2001. His three pieces for the ensemble’s 2001 production “Road to Kashgar” continue to be the ensemble’s most popular touring repertoire, and the recording won a JUNO nomination. “El Adon” (2009) is a 4-movement work based on sacred Jewish text. “Petals of Flame” (2012) is a major work written in a 12-beat cycle with flamenco influences. “El Ginat Egoz” (2007) brings the ensemble with a choir. Moreover, the ensemble will premiere a new work by Moshe’s nephew Canadian composer Elisha Denburg, the ensemble’s first commission from the next generation of the Denburg family. Lan Tung & Jonathan Bernard tours with the Vancouver Inter-Cultural Orchestra to perform in Kalispell, Montana & Winnipeg, MB. The Orchid Ensemble and the VBC join forces in a concert featuring a distinctive blend of eastern instruments and musical styles with the western choral tradition. Repertoire include traditional Chinese music and original works by Jin Zhang, Moshe Denburg, and John Sharpley (Canada premiere), and the world premiere of Rodney Sharman’s new work for the choir. Lan Tung leads the “Giant Project” to perform at the opening night of the Festival International de Musique Actuelle de Victoriaville (near Montreal) in Quebec Canada. This is collaboration between her band Proliferasian and Taiwan’s Little Giant Chinese Chamber Orchestra. The ensembles come together to perform a different repertoire each night. Produced by Lan Tung, Sound of Dragon Music Festival is Vancouver’s first festival devoted to “Chinese music”, showcasing very diverse musical styles: ancient folk and classical repertoire, contemporary compositions, jazz, world, fusion, and avant-garde improvisation in solo, chamber, and orchestral performances. While presenting authentic traditional music, the festival promotes creativity and innovation in imaginative new ensembles and projects, utilizing unusual cross-cultural instrumentations. 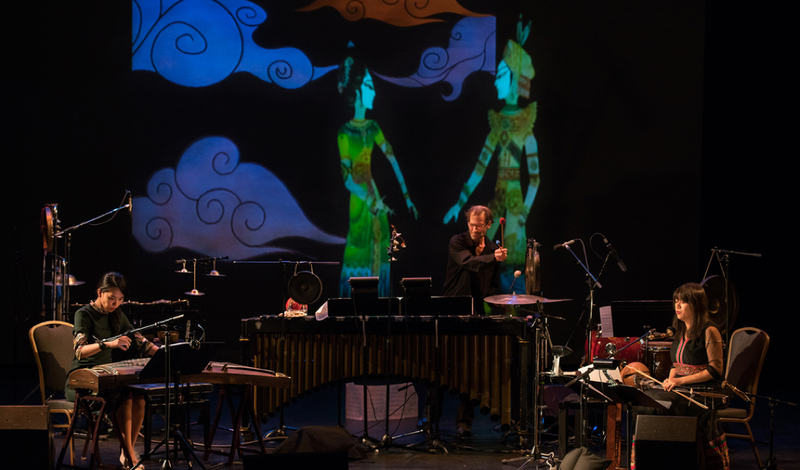 By presenting musicians, ensembles and composers from different ethnicities, nationalities, and musical genres, Sound of Dragon re-defines “Chinese music” and reflects Vancouver’s growing multicultural environment, representing a highly creative music scene. 7:30pm Thursday Nov 30, Mary Irwin Theatre, Rotary Centre for the Arts, Kelowna BC. Collaborating with media artists Aleksandra Dulic & Kenney Newby, and composers John Oliver & Stefan Smulovitz, the Orchid Ensemble will perform in the inter-disciplinary project telling stories about the stars from different cultural perspectives.